Thousands of ordinary, decent Californians face criminal charges for victimless marijuana law violations. If you’re one of them, let us fight for you! 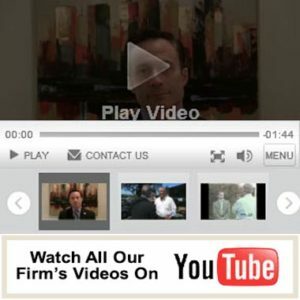 We at Fiumara & Milligan Law, PC offer an experienced team of powerful legal professionals who will fight fiercely to protect your freedom, job and reputation. We’ve handled cases like yours since 1992 – let us stand up for you and your rights! Generally, cannabis possession, sales, transportation and cultivation are illegal in California. Possession of less than 1 ounce is an infraction subject to a fine of $100. Possession of more than 1 ounce is punishable as a misdemeanor with a maximum penalty of up to six months in jail and a $500 fine. Additionally, unlawfully possessing marijuana for purpose of sale is a felony punishable by 16 months to three years in a state prison. The same is true for the charge of unlawful cultivation. Transportation of cannabis is punishable as a felony, which could mean two to four years in a state prison. Oftentimes, these charges are combined, which drastically increases the fine and/or sentence. Facing these accusations can be life-changing and require immediate intervention by a knowledgeable and aggressive attorney, so please don’t hesitate to contact us for help or call at our toll-free number 855-247-3190 for your free consultation!